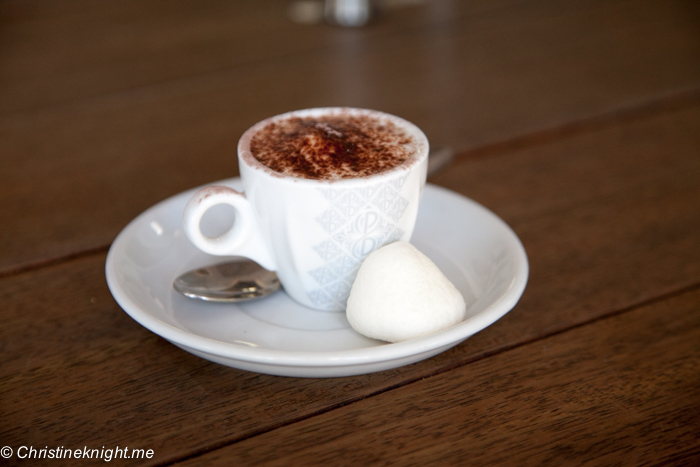 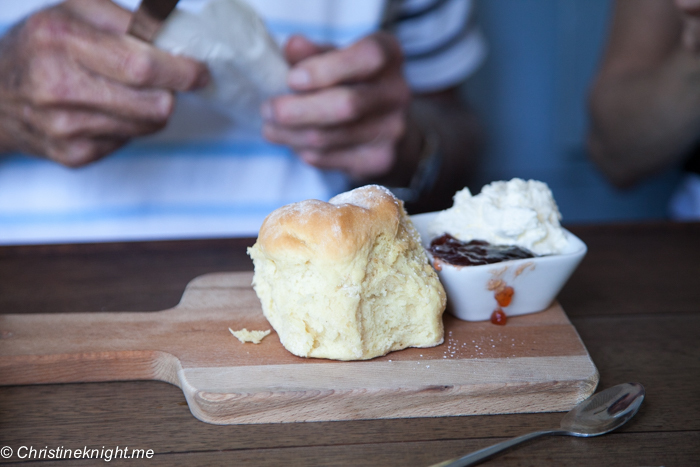 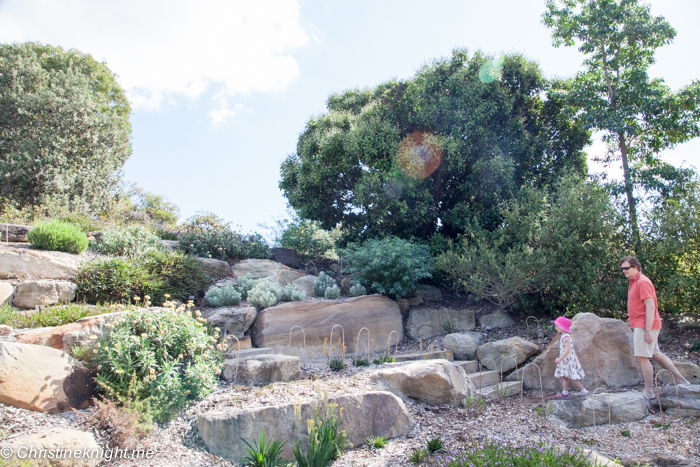 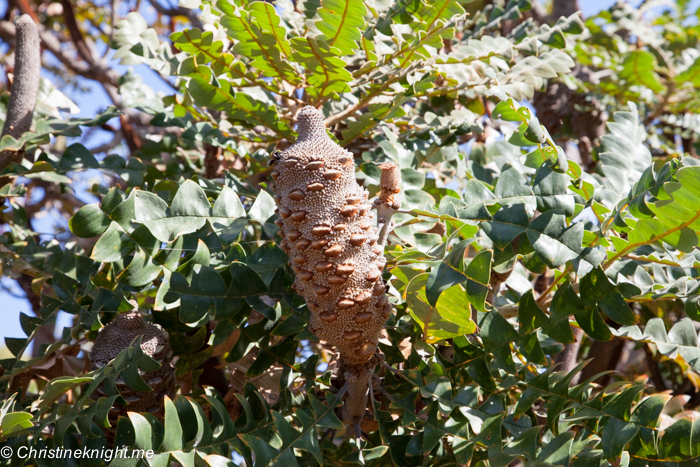 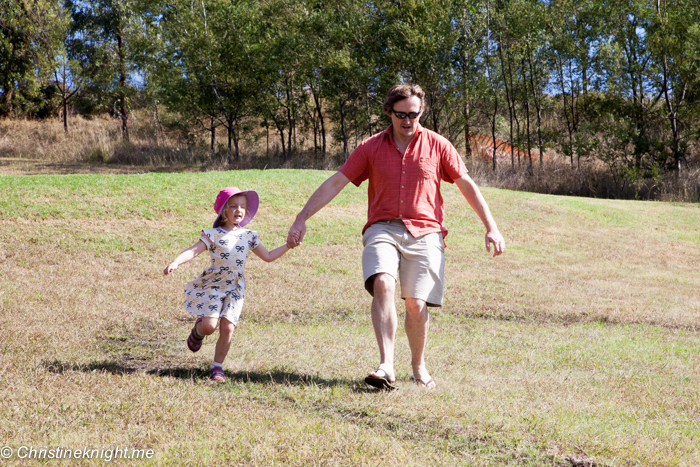 The Australian Botanic Garden Mount Annan + Melaleuca House Cafe - Adventure, baby! 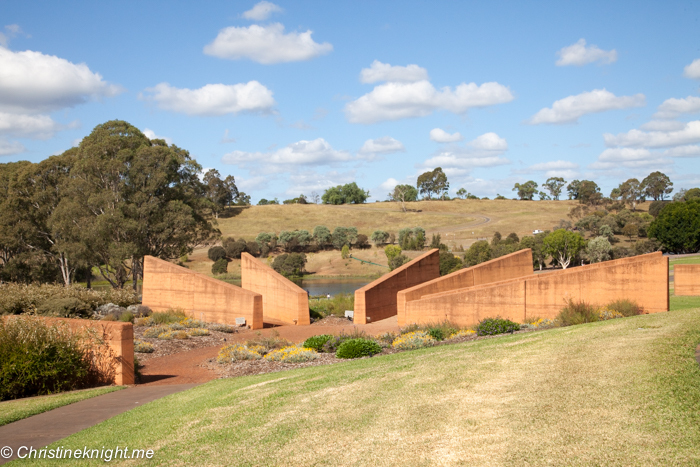 We are frequent visitors to The Royal Botanic Gardens in Sydney’s CBD, but had never been to the Australian Botanic Garden at Mount Annan, in Sydney’s south-west, until recently. 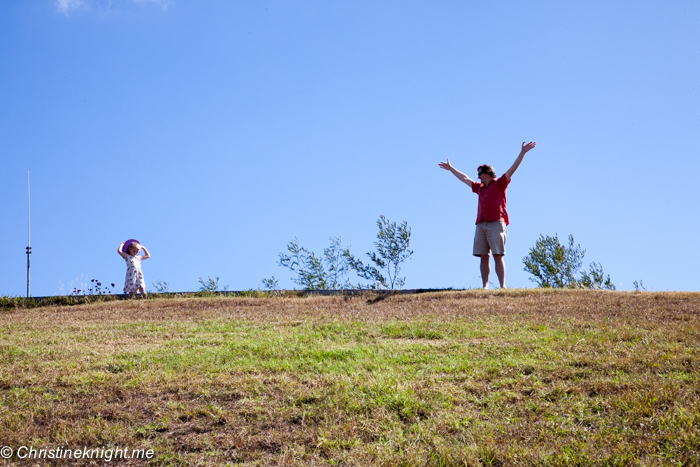 The gardens are massive! 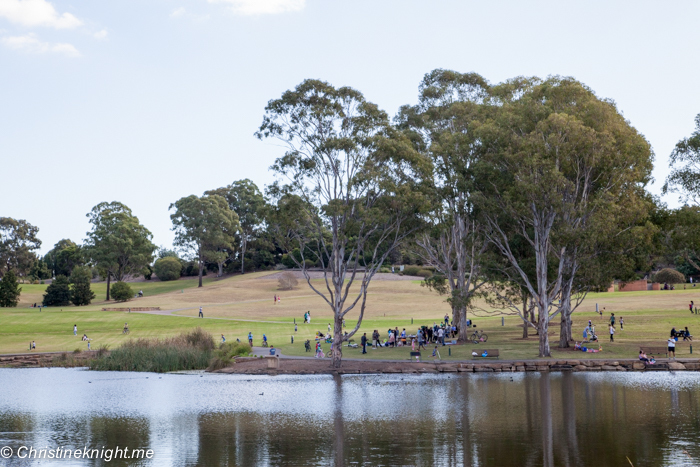 416 hectares of botanic gardens set in a hilly area of the southwestern Sydney suburb of Mount Annan. 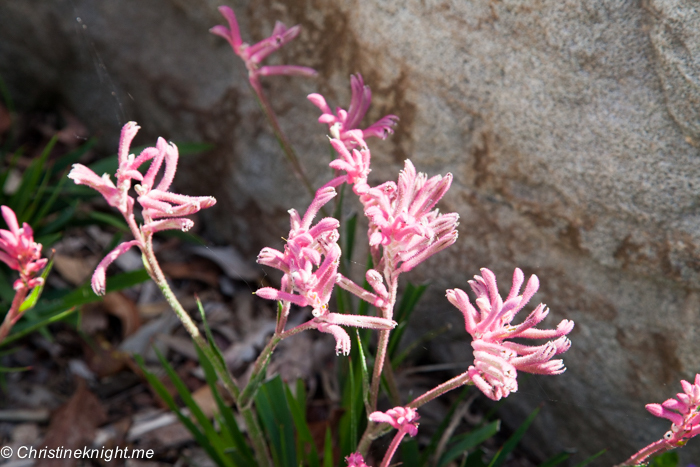 I’ve driven past the gardens many times on my way between Campbelltown and Camden, and decided that it was time to see what beautiful plants they had on offer for myself. 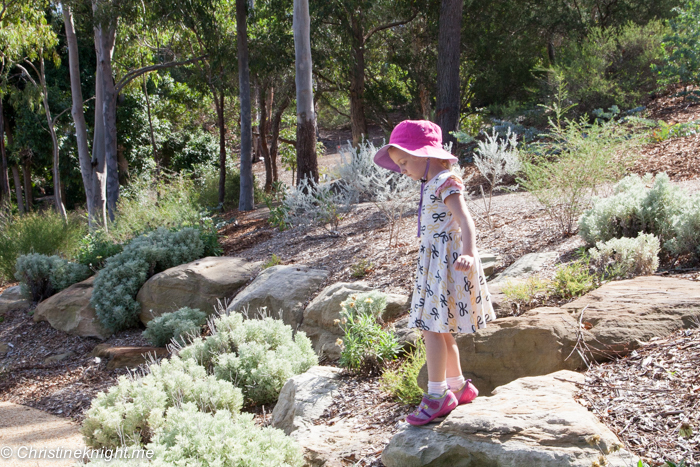 The Australian Botanic Garden Mount Annan are free to enter. 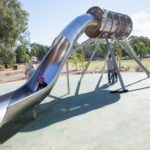 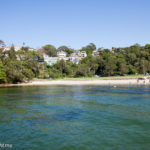 They are popular place for families in Sydney’s west and south-west to visit for picnic lunches, due to their large grassed areas and excellent facilities. 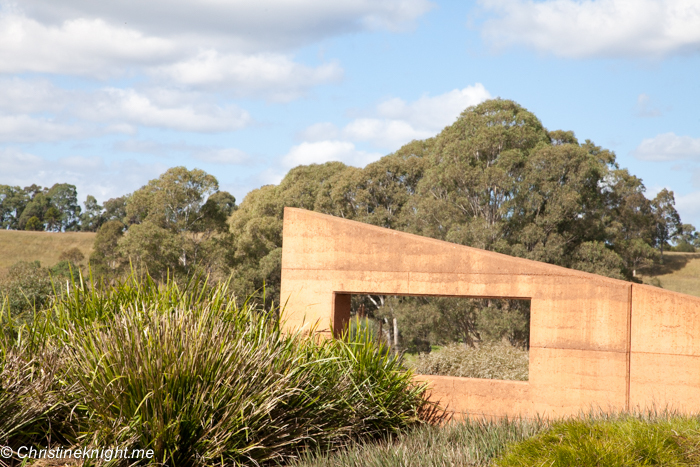 At the entrance to the gardens you can find the welcome centre (pick up a map!) 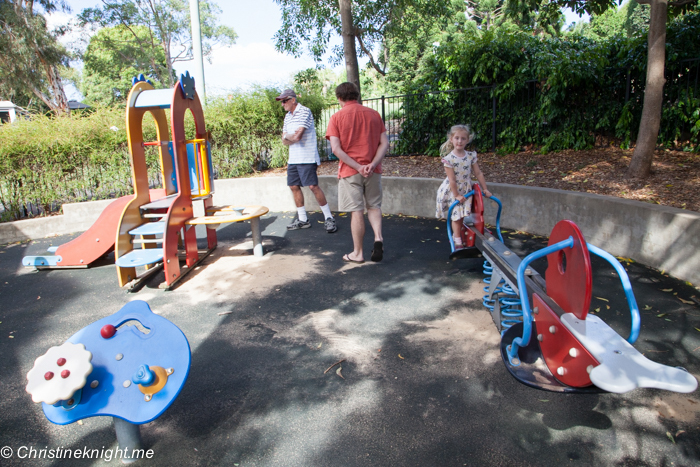 and the public bathrooms, including a baby change/disabled toilet. 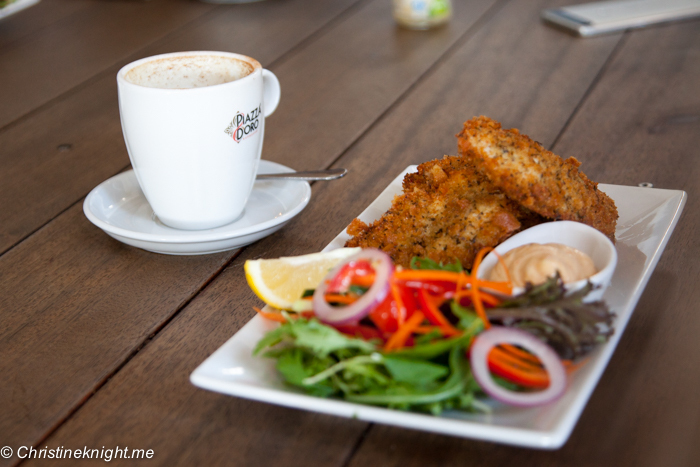 We had lunch at the on-site cafe, Melaleuca House. 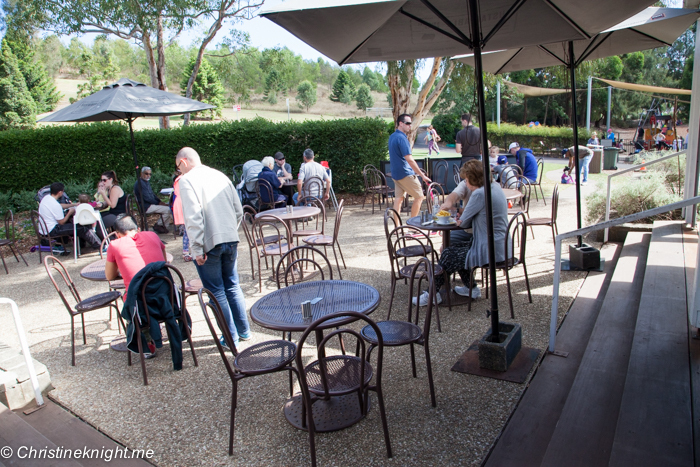 The prices were higher than I’d expected for a cafe inside a garden, but the food was excellent quality and apart from the “Vintage Tea Pyramid Selection” tea that I ordered for $3.90 that turned out to be a Twinings teabag dropped in water, I felt like it was a great meal. 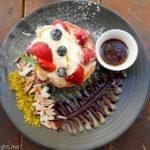 As we arrived after the breakfast menu had finished, we ordered the Roast Pumpkin Salad (with zucchini, roast capsicum, goat’s cheese, oak leaf toasted pine nuts & pesto dressing, $20.90) Jumbo Scone (served with jam and cream, $4.90), Herb Crusted Chicken Tenders (with paprika lime dipping sauce, crisp garden salad & honey-lemon dressing, $19.90), Grilled Barramundi Fillet (served with bush tomato relish fresh lemon wedge & crisp garden salad & chunky chips, $24.90). 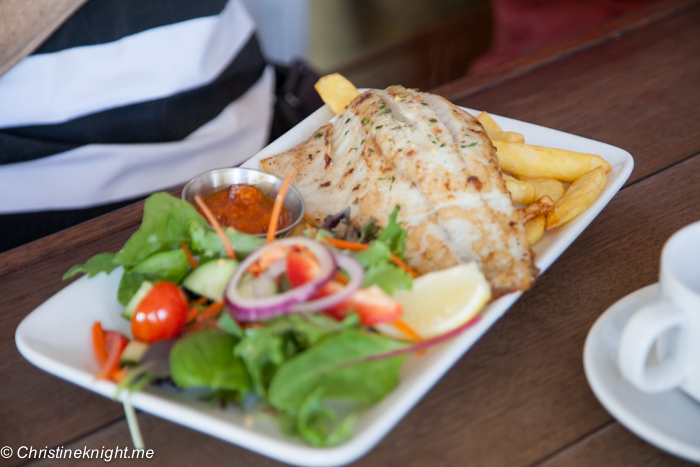 Kids aged 10 yrs and under can order off the reasonably-priced kids’ menu, which includes Grilled Sausage & Chips, Toasted Ham, Cheese Sambo & Chips, Cheese Burger & Chips and Chicken Nuggets & Chips. 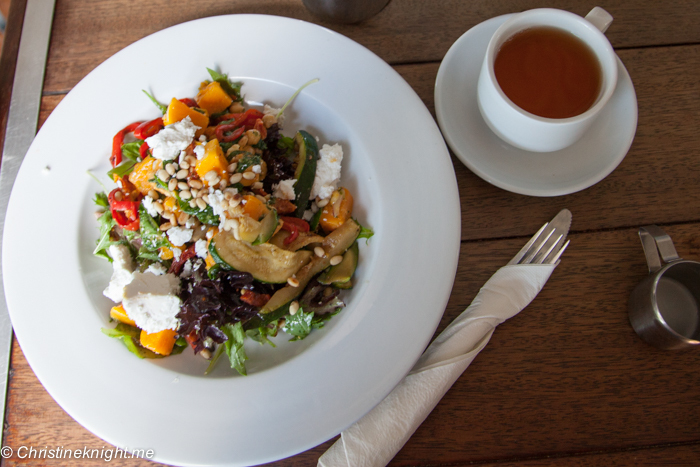 All kids’ meals cost $12 and include a Pop-Top Fruit Juice. 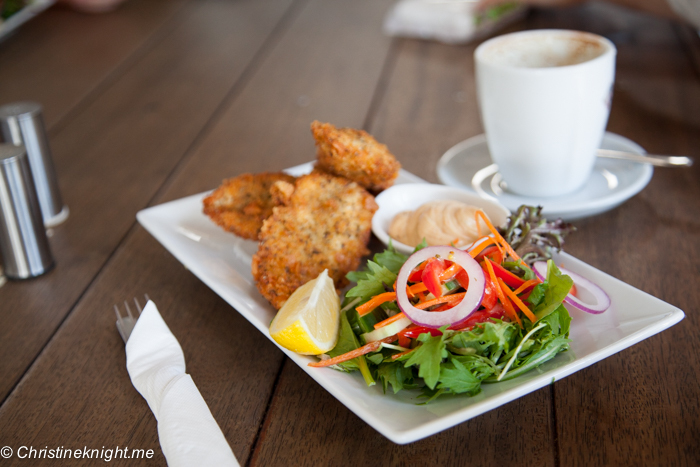 When we arrived the table next to ours had been waiting a long time for their meals and we were a bit concerned that ours would similarly take ages, but the food all arrived quickly, and the unanimous agreement was that it was all delicious. 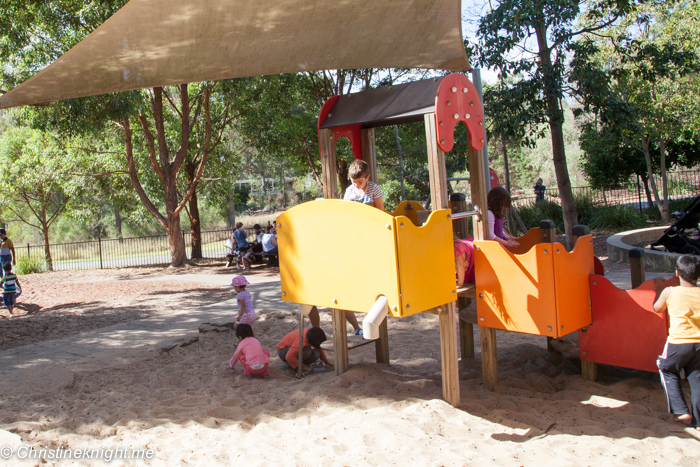 Just past the cafe is a fenced playground with decent shade. 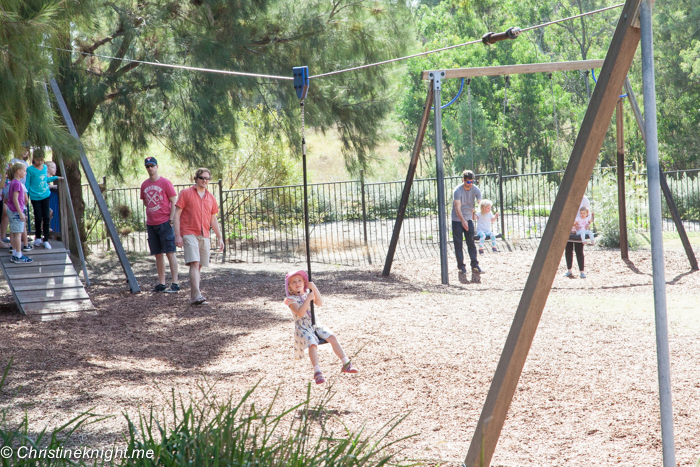 It includes several climbing structures, swings and a flying fox. 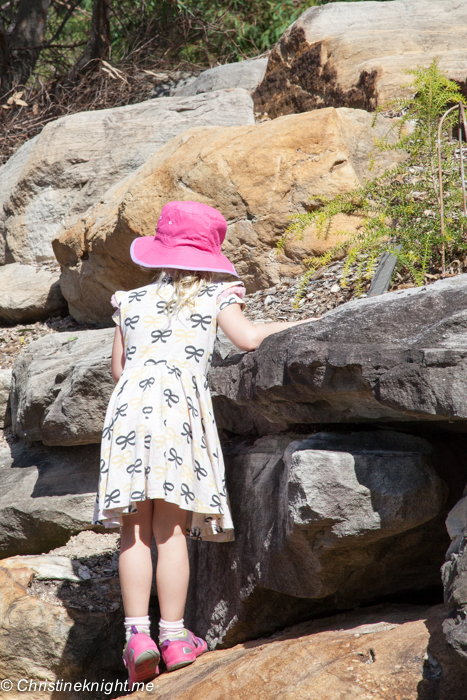 We had a hard time removing Cheese to go and explore the gardens, but promised her lots of rocks to climb as an incentive. 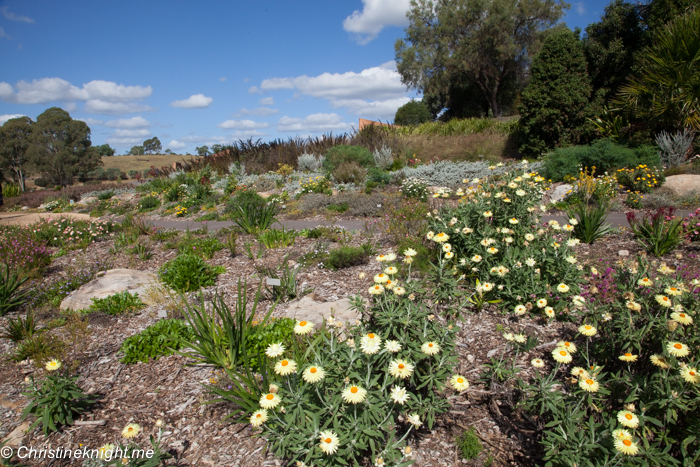 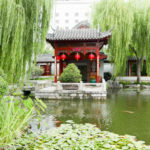 The gardens are quite spread out, and if you have the time and inclination there is a lot of walking you can do. 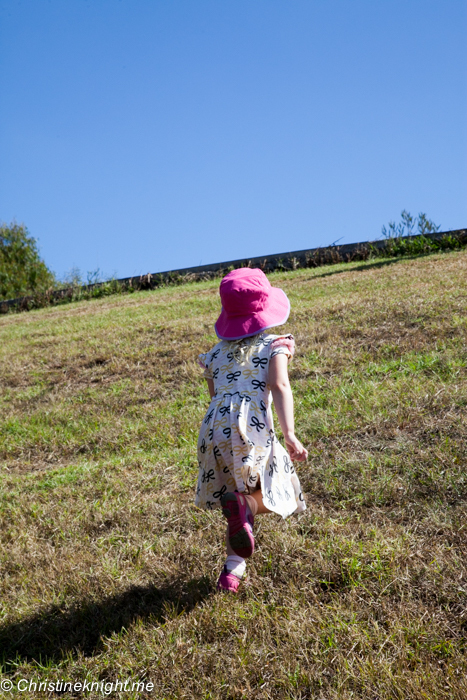 We did a shorter route through the main gardens up and down the main hill area, climbing over rocks and running down grassy slopes. 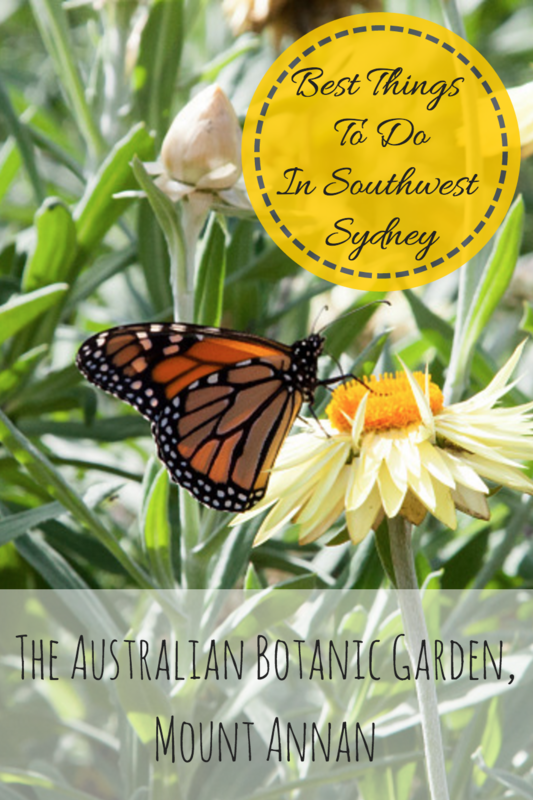 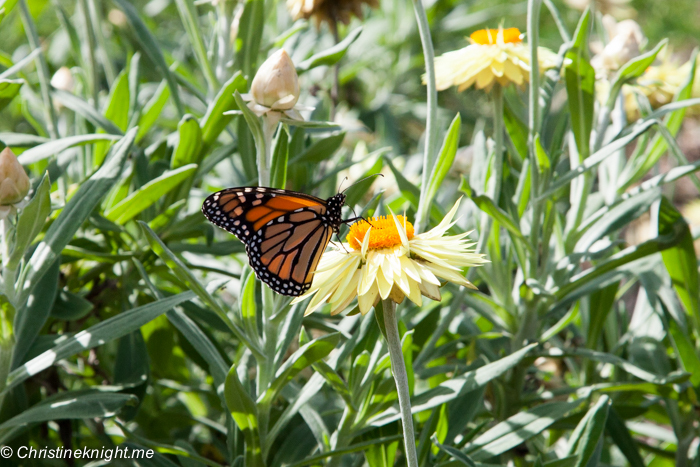 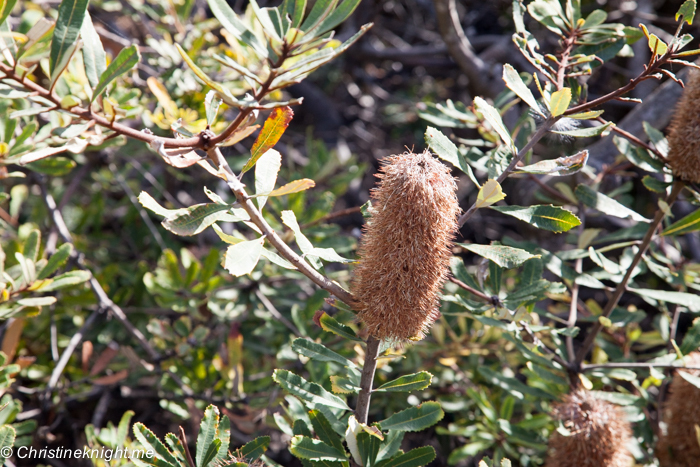 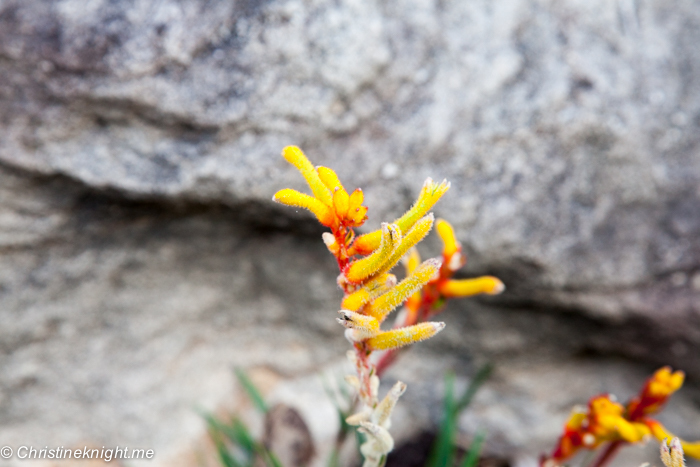 Along the way we explored native Australian plants and wandered through flower beds with butterflies dancing around us. 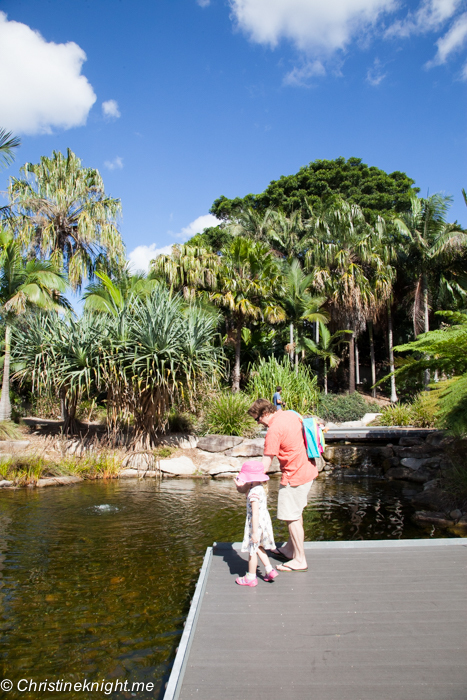 A flat, cement path winds around the gardens making them fully accessible for strollers and wheelchairs (it’s worth noting that the cafe area, particularly the outdoor seating, is also very suitable for large strollers or wheelchairs, too). 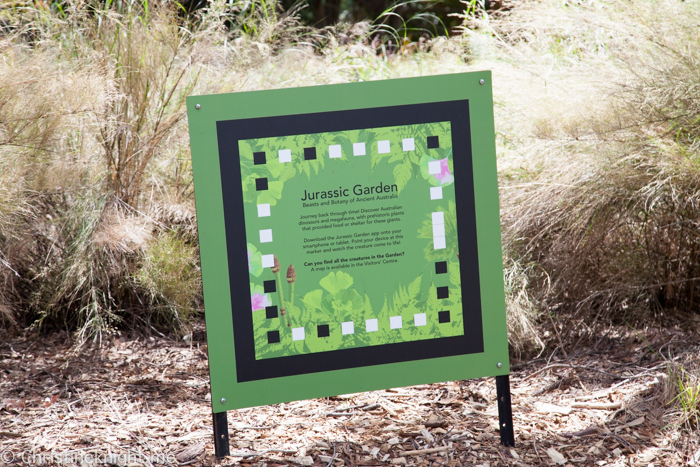 A new addition to the garden is the Jurassic Garden Augmented Reality trail. 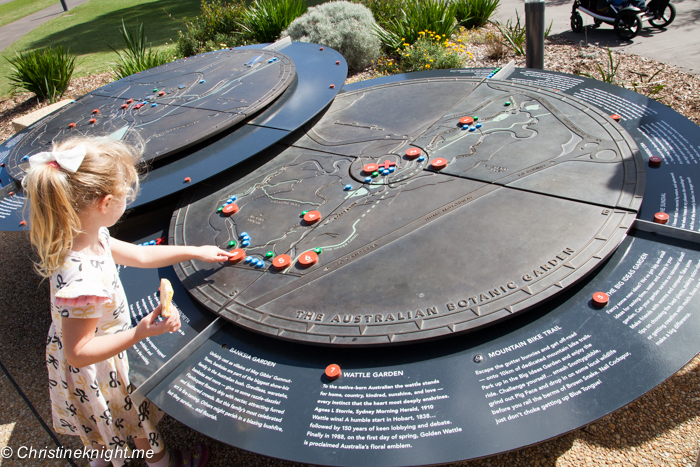 Download the app, pick up a map at Information, and take a journey back through time through the garden to spot Australian Dinosaurs and megafauna next to plants that were important to them. 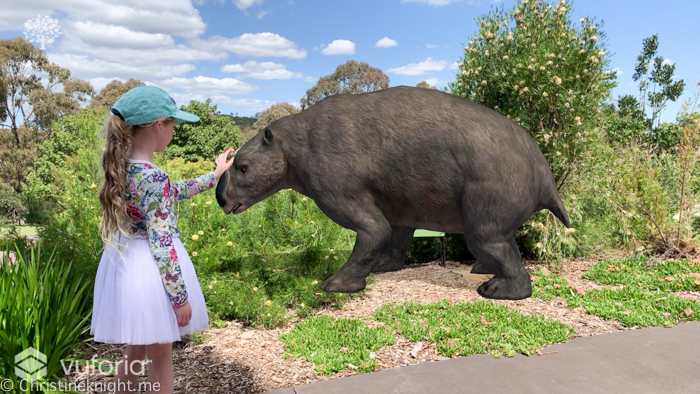 Once you’ve downloaded the app to your smartphone or tablet, point your device at the Jurassic Garden AR marker and watch the creature come to life. 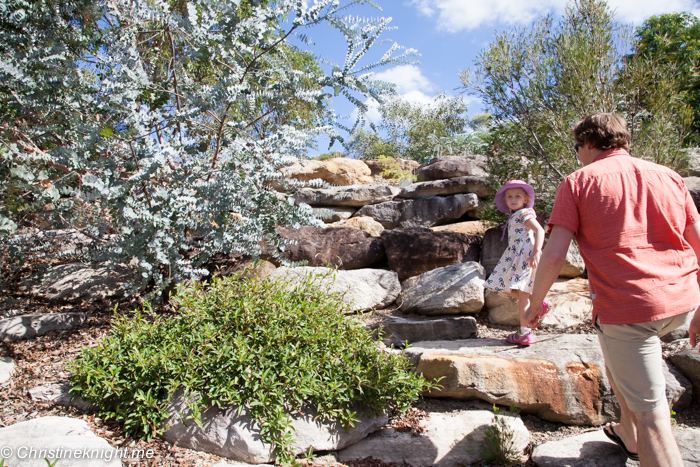 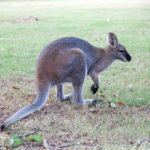 The Australian Botanic Gardens Mount Annan are just beautiful, and are a welcome place to enjoy the beauty of nature in the heart of southwestern Sydney. 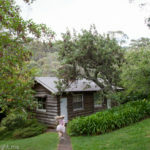 Melaleuca House is open Mon-Fri 10am-4pm, Sat & Sun 8am-4pm.